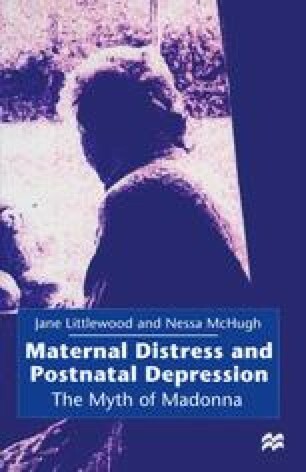 This chapter is concerned with the various psychological explanations that have been forwarded as explanations of depression and distress arising during pregnancy and/or following childbirth. The chapter commences with a consideration of psychotherapeutic approaches to depression and distress. These approaches emphasise the importance of early childhood experiences, particularly, in this instance, of a woman’s perceptions concerning her relationship with her own mother, to the onset of depression and distress during pregnancy and following childbearing. The many critiques of the psychotherapeutic approach will also be discussed in this part of the chapter. This Russian-doll imagery of mothers and daughters one inside the other rekindles early anxieties and unresolved issues of love and hate between the pregnant woman and her internal mother (rather than the real one, who may or may not be, alive).